I was standing in front of our poll table when Luke walked up to sign the poll. 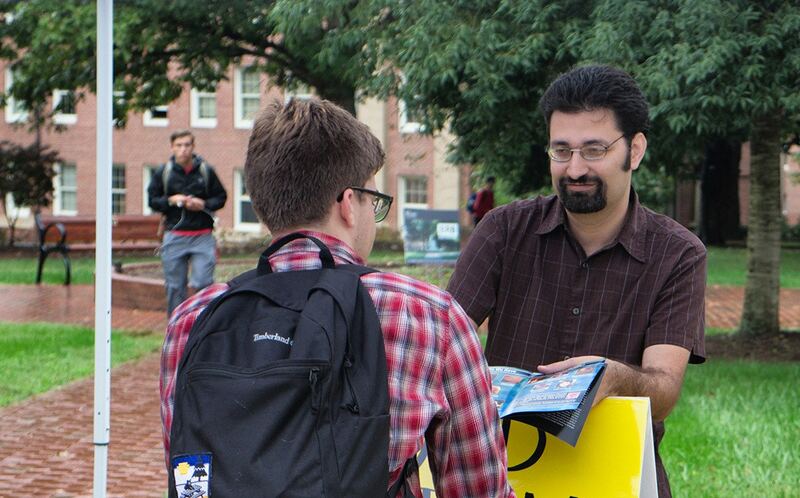 As I engaged him in a conversation, he explained that he’s pro-abortion-choice, primarily because he doesn’t believe that the unborn become valuable people until they become viable. Josh: Yeah, I’ve definitely heard some pro-choice people say that viability is the thing that gives people value before. A lot of people draw other lines, of course, like having sentience, self-awareness, the ability to feel pain, and so on, but there’s something about viability that I think makes it a stranger line to draw than all of those other lines, which is that of all the lines you could have picked, you picked the only moving target. Babies who weren’t viable 30 years ago are viable now because our technology is improving. And that technology continues to improve. Did you hear about the goat born from an artificial womb recently? Maybe one day we’ll have something like that for fetal humans who can be transferred to an artificial womb if they’re too young to survive as a premature baby, pushing the viability line even closer to the beginning of pregnancy than it already is. Luke: Yeah, but you don’t know if the baby would always survive. Luke’s point seemed like an attempt to say that because we can’t always know at an epistemological level whether or not a particular baby would survive the transfer, that this should cause reasonable doubt about the ontological value of any given child. In other words, Luke seemed unwilling to admit that a given viable fetus could have moral status unless we had 100% confidence that that particular baby would survive a delivery. Josh: What if we knew that we had a 100% survival rate, that we could save every single embryo transplant. How would that affect your views on abortion? Luke: There’s a difference between ‘natural viability’ and ‘artificial viability’ in that it shouldn’t matter that we have the technology that’s so good we could save them, what matters is what would happen to them if we didn’t have that technology. I was taken aback a little because I had never heard a pro-choice person make the argument that I thought he was making. So I used one of the practical dialogue tips that we teach in the Equipped for Life Course as well as this article from Tim — I rephrased what I heard him saying, but in my own words. This is an important technique because we often unintentionally misinterpret what other people are saying, so if we feed back what we hear them saying, ideally using different phrasing, it gives them a chance to point out any translation mistakes, and then we can avoid inadvertently straw-manning them. Graphic used with permission by Credo Courses. 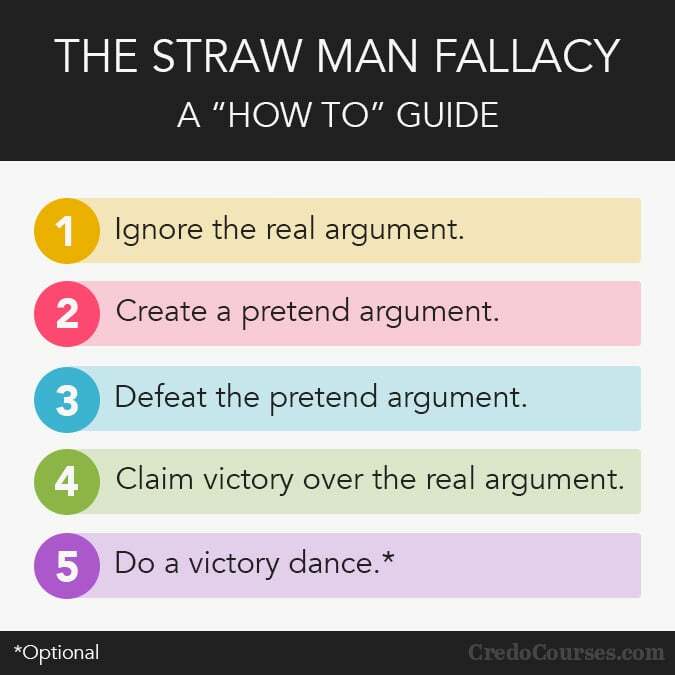 While I often use this dialogue technique, I try to always use it when I think I hear a pro-choice person make a particularly weak or ad-hoc argument (AKA constructing an argument unsupported by evidence in order to win). I want to give them the benefit of the doubt that they are actually attempting to make a stronger argument than it sounds like they’re making. They may prove me wrong, but it’s better to work backwards from a potentially strong argument to the actually weak argument they’re making as opposed to assuming they’re making a weak argument and then them clarifying that they were actually making a strong argument. Sometimes I’m talking to a pro-choice person and it sounds like they are making a terrible argument, but after clarifying their position I realize that I simply misunderstood it, or they didn’t word it very articulately. Unfortunately, this was not one of those days. Luke: Yup, that’s exactly what I’m saying! You’ve got it. As soon as he said that, he smiled and shook my hand, saying that he needed to get to a class. I told him that I understood and didn’t want to get in the way of his class schedule, but that I really hoped he would come back to pick up our conversation during our two-day outreach because I had some thoughts about his argument. He said he might if he had the time, but unfortunately he never did return. Although that was frustrating for me, throughout my time doing pro-life outreach I’ve come to accept the possibility of conversations ending prematurely. Sometimes students are intrigued enough by us that they’ll skip whole classes to hang out and talk, but not everybody chooses to do that, so we do the best we can with the time that we’ve got with these students. This situation, however, was particularly frustrating because it felt like I ran out of time because I took the time to clarify his view before rebutting. A part of me wished that I had just moved straight to demonstrating the flaws of his argument so that he could have heard some of my counter-arguments before leaving. But by doing that I would have been at risk of straw-manning him. I did the best I could with the information I had at the time, and I think I made the right decision given what I knew. These are the first two pages on the inside of the ERI Outreach Brochure. It doesn’t seem like you’re consistent with these distinctions. You’re saying that this premature baby in my brochure at 24-weeks and six days is a person because she’s viable, but she’s only viable because of our artificial technology! That baby wasn’t viable 100 years ago. It seems like you’re arbitrarily drawing a line between present tech and future tech and saying that future tech can’t change personhood, but instead wherever viability is based on the tech in 2017 is where the personhood line should always be. That is completely and utterly arbitrary, and I can’t understand a reason for drawing a line that is that arbitrary for any reason other than you stubbornly don’t want to change your mind about this issue, regardless of which view is more rational. I think there are all sorts of reasons why viability is the wrong line to draw. As I said, it’s a moving target, so now you could have a pregnant woman with a viable baby getting on a transatlantic flight and land where there are no nearby hospitals where her baby could be saved if there were a complication, so now her baby is no longer viable, meaning that her baby lost its personhood at some point during this flight but could regain that personhood if she used her return ticket. 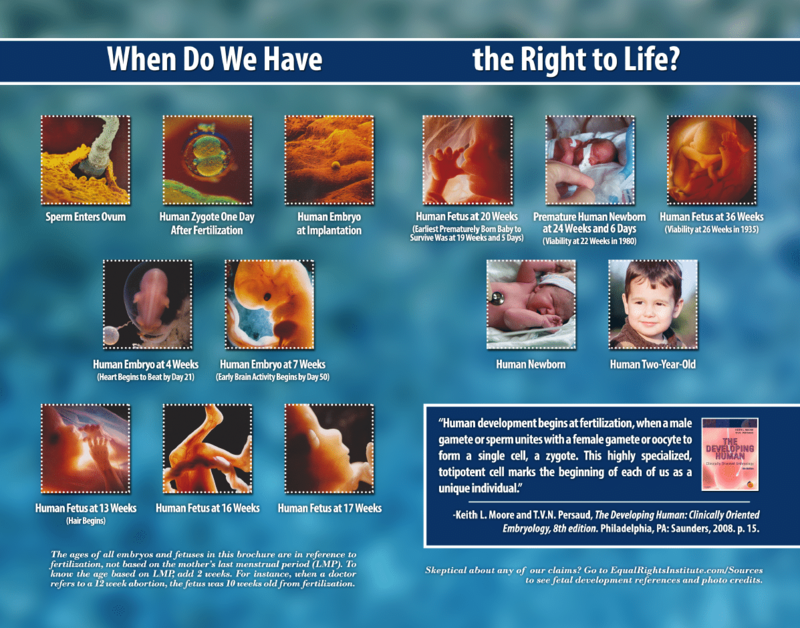 How does it follow that just because the unborn cannot survive where born people live they are not persons? Suppose Martians abducted Earthlings and put them on Mars, where they would immediately suffocate. What if the Martians defended their actions by saying that humans are not “viable” and so are not persons? This definition would also rule out personhood for a toddler who has a weak immune system and can only survive inside a protective bubble. It seems obvious to me that a “bubble boy” should have an equal right to life, even though his life will have many hardships that you and I can’t experience. We should do our best to be charitable to our pro-choice friends, and interpret their arguments charitably. We should even acknowledge when they make an interesting or reasonable argument, and there are some pro-choice arguments that make some sense. I don’t agree with them, but I can see why other people do. The viability argument for personhood is no such argument. Pro-choice people would be wise to move on from it and find a stronger justification for their views.